Most of the time, investigations on arson are done to find out what caused a fire to happen in the first place. This investigation is imperative because it allows the responsible party to be held accountable for their actions. To get to the bottom of things, a good San Bernardino County licensed investigator may use an array of forensic tools to determine the facts of each case. A San Bernardino County licensed investigator will use the information gathered to openly testify in a court of law, providing expert witness to the judge and jury on your behalf. Using a variety of techniques to gather the appropriate evidence, a specialized San Bernardino County investigator can utilize their findings against an arson suspect and get you the justice you deserve. Unfortunately for some victims of arson, proving that a fire was deliberately started is often difficult, if not impossible. Despite the fact that many arson investigators have lots of experience as professional firefighters, the nature of a fire usually means that the evidence needed has been lost in the flames. That’s where a San Bernardino County licensed investigator comes into play. What Can a San Bernardino County licensed investigator Do For Your Case? 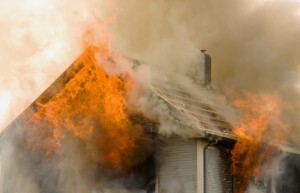 Because arson cases are so prevalent, accounting for billions of dollars in damages each year, finding the best San Bernardino County licensed investigator is extremely vital, even if you are not yet the victim of such an offense. Unfortunately, less than 20% of all arson cases end in an arrest. This is because a San Bernardino County licensed investigator was not used during the fact-finding portion of the case. When Is a San Bernardino County licensed investigator Needed? *IMPORTANT NOTE: It has been determined that many arsonists return to the scene of the crime after the deed has been done. With that knowledge, a good San Bernardino County licensed investigator will likely provide surveillance on your property during the investigation, as well as criminal background checks on all plausible witnesses and/or suspects. For more information on arson and arson investigation, or to hire a San Bernardino County licensed investigator immediately, call (951) 800-8232. We provide you with a free initial consultation and price quote for our services.